On 08 March 2018 Media Monitoring Africa (MMA) honoured the legacy of Mandy Rossouw through the launch of an awards category dedicated to the memory of the esteemed journalist who passed away in 2013. MMA made the announcement during a panel discussion which reflected on the media’s contribution to South Africa’s democracy in the past decade which was hosted at the Nelson Mandela Foundation in partnership with the South African National Editors Forum (SANEF). 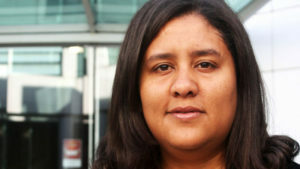 The Isu Elihle Awards honoured the legacy of late journalist Mandy Rossouw by creating a category in her honour. Given the integrity and dedication with which Mandy Rossouw carried out her craft, the Mandy Rossouw Award will be given to the best story idea in which the powerful are held to account on issues specifically related to children. 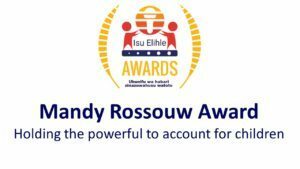 A new category has been included as part of the Isu Elihle Awards in honour of Mandy Rossouw’s immense contribution to democracy. Tel: +27 (0) 11 788 1278.